A routine inspection at California State University, Northridge by its Environmental Health and Safety Department showed just how prevalent toxic asbestos remains today on college campuses, despite a dramatic decline in its use. Although a majority of the asbestos was removed from CSUN over the past 20 years, 18 different university buildings still have remnants of the material that can cause a variety of serious health issues, including mesothelioma. In the January report that was recently released, asbestos still was found in floor and ceiling tiles, duct and pipe insulation, weather stripping and wallboard panels. It was found in buildings that ranged from the Fitness Center to the Library, and from the Family Studies Lab to residence halls. Students and faculty were advised to avoid hanging plants from ceilings and drilling holes in the walls where asbestos might be present. As part of the official notification, they also were advised against touching asbestos material on any pipes or duct insulation that was exposed. They also were warned against disturbing asbestos construction material when replacing light bulbs. College campuses across America, particularly older ones, traditionally are filled with asbestos, which was used regularly in myriad construction materials until the early 80s. Much of the asbestos at CSUN was removed in the aftermath of the 1994 earthquake that damaged many of the older structures and marked the start of a major renovation project. California’s Health and Safety Code requires universities to submit annual asbestos reports. The remnants at CSUN were discovered through laboratory analysis, material sampling and detailed building inspections, according to a story in CSUN’s college newspaper, The Sundial. Asbestos abatement often is a costly endeavor, requiring trained and certified companies to handle commercial projects. It’s one reason why the threat of it remains today. 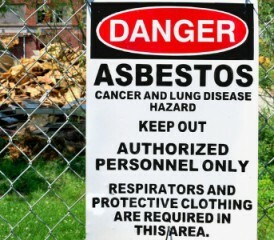 Although asbestos is banned in more than 50 countries around the world, it has yet to be banned in the U.S. or Canada. The Asbestos Disease Awareness Organization, which often serves as a victim’s voice in America, considers no level of asbestos exposure to be safe.